It sets up a safe-lock device. 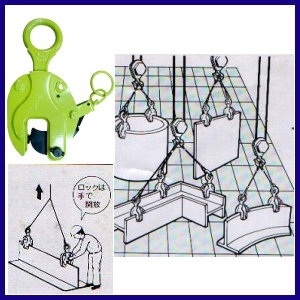 Safety Factor：3 : 1 『 Usage 』 Designed for lifting steel plates. One unit for working load limit, using one unit or two pieces matched in the working. Vertical lifting clamp is with a safe device. 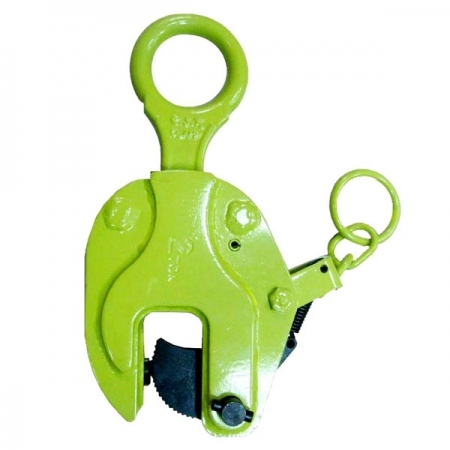 It is necessary to pull upward the shaft for straining the spring when hoisting the cargos. And press the shaft down when loading off, after releasing the spring, clamp and steel plate will be separated from each other.